Feeling alive. Or, thank you Gwen Frostic and Mary Oliver (yet again). I’ve been wanting to write about one of my favorite parts of summer, and since I just finished making my way through Mary Oliver‘s New and Selected Poems: Volume 1, I figured it was the perfect time. One of the conclusions I’ve come to about maintaining sanity while busy is how necessary it is to slow down and connect with the things that make us feel alive. I’ve written a lot about the stress of my last year (school-year time, not calendar) and the different ways my summer helped me crawl out of that anxiety-ridden time. In the middle of August I drove some friends to northern Michigan to where one of them has spent time every summer since childhood. The five days of our trip were spent doing all the things I love: driving on country roads with good music, buying copious amounts of produce and cider donuts from road side stands, the sounds of the woods, starring at water, riding in a boat, cooking and drinking wine, and being amazed at nature. One of the highlights was going to the studio of local artist Gwen Frostic, who passed away in 2001, but whose studio has been kept up and running. She created woodblock prints inspired by the landscape around her, and their stunning simplicity was a perfect pairing for my love affair with the words of Mary Oliver; both are inspired by not just nature, but nature’s capacity for healing and reflection. Two of the dozen Gwen Frostic woodblock prints I couldn’t walk away without. A few weeks later, I drove upstate to Windflower Farm for their CSA campout with a dear friend and along the way we ate at my favorite restaurant of all time, dropped in on a show by the inspiring artist Lisa Congdon, and drank up the farmlands around the Hudson River Valley. We spent so much time talking about how it was worth it to go out of our way to see Lisa’s show, and to talk to Maggie at her cafe, and to be with Farmer Ted on his land: being around people who create inspires creation. Insert school and grad school starting right after the farm trip. Needless to say, I rareIy had time to slow down and create. I’m tired of this being my story of a school year. When I felt tired, I sat on the couch and tried to catch up on The Good Wife in the name of “relaxation”. Nothing against The Good Wife (you know I love my shows), but even though I was technically relaxing, my soul didn’t feel alive. Thankfully, Daniel and I went on a walk to Prospect Park this morning and talked almost the whole time about art (please look at his work) and cultivating a life that helps create it. I found myself snapping pictures of leaves and trees I wanted to draw. It’s amazing how if I do the things I truly love, my desire to create increases. And in turn, I feel more full. And relaxed. And alive. So, my goal for this favorite season of my life is to choose to spend time walking to the park or to the river. To not let tiredness or busyness be an excuse for the kind of relaxation that doesn’t really relax in the end. I’ve been reading a lot about the art of attention: being present and noticing the beauty of life around me. Hopefully that will weave its way into it all, too. This entry was posted in art, beauty, kindreds, mary oliver, nature, other people's poetry, summer, Uncategorized on September 27, 2015 by krobb08. 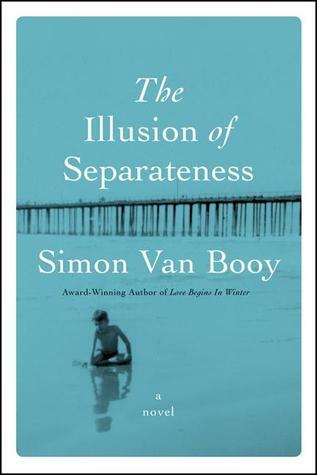 It is rare to find an author who sees people the way that you do and in an age where it seems like so many modern authors are jaded and whose characters are disgruntled, bored, angry adults, reading Van Booy’s work is a breath of fresh air. His prose is like poetry and it is impossible for me to not get caught up in them. My favorite book of last summer was Everything Beautiful Began After and then I immediately sought out his collection of short stories, The Secret Lives of People in Love. While I was browsing at my local book store, surprisingly open on the 4th of July, I saw on the front table that he had a new book out and I couldn’t help myself even though I have a large stack of books to read on my nightstand already. As I meet his characters, they are still open to the possibility of beauty and hope, even if it has felt long vanished from their lives. And this I believe is what a lot of today’s modern characters–and people, of course–are in desperate need of: tiny moments that can begin to rewire the joy that has seeped out of living. We all have different lives, Martin believes–but in the end probably feel the same things, and regret the fear we thought might somehow sustain us (16-17). In a sense we are all prisoners of some memory, or fear, or disappointment–we are all defined by something we can’t change (82). Everyone was searching, he thought–trying to unravel the knot of their lives (152). I’m not sure when life becomes that knot–but once we realize that nearly everyone feels it, all of a sudden just that knowledge lifts some of the separateness. Not just empathy but community is born out of the shared brokenness–but through it has the ability to make life beautiful and poetic. And of course, it brings the reader back to what I probably write about too much on here: why we need to read literature to understand humanity–and let our understanding of characters help us to look for the lives behind the faces we pass each day. One of my favorite parts of the book (beyond the achingly beautiful character sketches) was that the characters took care of each other–often as strangers. Be it with a bag of tomatoes or shelter in a war field. Just like all of my favorite books do, this one makes me want to look for more poetry and hope in the cracks and corners of my world. This entry was posted in beauty, books, community, hope, van booy on July 18, 2013 by krobb08. looking for beauty and remembering how to live. Springtime is when I come alive again–especially this year when winter seemed to stretch way too far into April. The blossoms in the park and on the streets and behind my apartment make my heart swoon–and I’m always trying to capture them with my camera as their fleeting nature always gives me a sense of urgency and the beauty reminds me of what is real and true. I’m currently on page 445 of 605 in A Fine Balance by Rohinton Mistry. My thought when I picked this one was that I was moving through books so quickly that it would be wonderful to have a long read that I could linger in for a while–I’m definitely lingering. My nightly exhaustion from unpacking and setting up our apartment left me making about 5 pages of progress a night. Luckily we are finally feeling more settled and I’ve resumed my mostly normal reading habits before bed. Then, of course in the past week and a half I’ve also had to read The House of the Scorpion by Nancy Farmer and Locomotion by Jacqueline Woodson for my graduate class. Talk about a disrupted reading life. Ha. Through the class I’ve been learning a lot about myself as a reader alongside how to best teach my students. We moved in about a month ago now and I can say with absolute certainty that not taking time to write about my reading each weekend–which is basically taking time to reflect on the world around me and where I find myself in it–has left me feeling unsettled and not like myself. So even though I’m not quite done with the book yet, I feel compelled to write about where my brain has been lingering over the past month or so while reading it. A Fine Balance is a book about how 4 people’s lives come together in India in the 1970s: a woman who was widowed in her 20s after three years of marriage and has struggled and strived to remain independent, an uncle and nephew pair who were bold enough to learn a trade above their caste and left their village to seek work in the city, and a young student who was sent by his parents from their comfortable home and general store in the mountains to the city to study. What I’ve been able to get to know the most through this book beyond these characters is an India that I confess I was utterly uneducated about: when in 1975 the Prime Minister declared a state of emergency that allowed the President to rule by decree and suspend elections and civil liberties. he woods or in my midwestern suburban town where everything seemed picture perfect. Beauty in New York is defined differently than my creekside wildflowers, backyard tomato garden, or street medians with planters. New York’s beauty is mostly man-made, be it in the architecture or the energy, but it is also side by side with rats and urine-baked sidewalks in the summertime and of course, millions of people, most of whom do not live in luxury apartments or take cabs to work. The question I’ve been left thinking about is “what is beauty and how do we construct our lives around it?” The two tailors in the book live in one of the city’s slums until the government forcefully removes the residents and levels the slum in the name of “beautification.” Of course in reading the story, I got to know not only the tailors, but the way of life in the slum and see pictures of the people there: and once you know the people, you begin to see the beauty–even if it’s amid a mass “toilet” that lies on the other side of the train tracks. Because there is a line that forms at sunrise to fill a few buckets with water from a single pump and the people in it are capturing water for their families to sustain their lives and having conversations and living life together. So, sitting here in my apartment I’ve worked hard to make visually appealing and to feel like a home, I want to challenge myself to seek out true beauty this week: to look for it most of all in the spirits of people–be it my students, the deli guys who know my coffee order by heart, the people I sit next to on the train, or the ones I pass by on the street. I want the spirit and beauty of humanity to be as much of a comfort to me as springtime blossoms or coming home to clutter-free counters and a tea kettle waiting for me. This entry was posted in beauty, books, existential struggle, rohinton mistry on April 13, 2013 by krobb08. Every year I have students join a book club with me (I’ve written about World War Two and Harry Potter) and this year I added The Great Gatsby to the list of choices for students who are ready to jump into some more classic, adult literature. I studied The Great Gatsby in high school, college and graduate school, but those lenses into the story don’t seem to quite fit for 8th grade. Luckily I still have time to think about that, but I also got stuck figuring out how to write about it here: this is not a book review or a literary essay blog, so I went back to my roots and thought about how the story speaks into life at this moment, and at this moment I am thinking about the city. My city. New York. Most New Yorkers with a literary slant in their lives know all the classic lines about where we live, and Fitzgerald’s description is one of the best: “The city seen from the Queensboro Bridge is always the city seen for the first time, in its first wild promise of all the mystery and all the beauty in the world,” (73). This is the New York I like to think about the most: the one that still feels magical 9 years later, the one that offers up perfect autumn dinners eaten at the counter and walks into bookstores on the corner and cafe tables on the sidewalk and life swirling around. The one that has perfect theaters for rainy Sunday matinees that follow a long brunch at a South African restaurant. And yet. There is also “…a valley of ashes–a fantastic farm where ashes grow like wheat into ridges and hills and grotesque gardens, where ashes take the forms of houses and chimneys and rising smoke and finally, with a transcendent effort, of men who move dimly and already crumbling through the powdery air,” (27). This is the New York that I also think about. I can be literal and think about the insane amount of trash that we proffer to the sidewalks or the hours lost waiting on a train that has been rerouted for the weekend. I can calculate the money I have spent in rent over the years or figure out how many pounds of groceries I have carried over x amount of miles. I weigh these things often these days. Or, more heavily, I can think about the students who walk into city schools coming from families who don’t value education and don’t see their own worth and a system that doesn’t know how to help. I can think about the men and women who sleep on the streets and the paralyzing feeling of not being able to help as I walk by with my smart phone in hand. I dream a lot about a little house with a fire place on a little piece of land, where life could be quiet and where I could see the sunset every day. And that may happen still. But. Living in a place filled with both beauty and ashes has changed the way I read the world around me–and I don’t think I could ever be the same, or shake the feeling that no matter how cozy my life is, whether that is reading my book while homemade tomato sauce is simmering on my stove in my studio apartment or some future multi-room home in my future, there are ashes scattered around me–and that I should never stop looking for ways to help beauty and life to grow among and out of them. This entry was posted in beauty, books, brokenness, classic lit, existential struggle, hope, new york, redemption on October 8, 2012 by krobb08. On beauty and rebuilding from brokenness. This has been a summer of devouring books. All I want to do is sit and read. 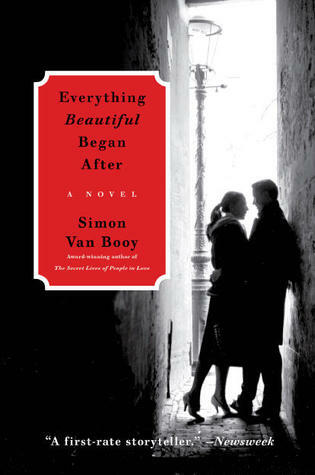 The other morning I walked to get some breakfast and a coffee and took it up to Prospect Park with about half of Simon Van Booy’s Everything Beautiful Began After. I thought that I would stay for a half hour or so, but I got so lost that I remained on my shady bench for almost two hours and finished the book. It left me a bit speechless and heartbroken, so I was glad to have been in the park and have a walk home to begin to process. I did some research, as I usually do, on Van Booy when I finished the book and learned that he has dealt with tremendous loss in his life prior to publishing this story, which made what the characters went through feel more weighty to me. This interview also provided some sweet insight into Van Booy as a person and I was able to understand his style of writing a bit more. The story begins with a prologue from the voice of a ten year old girl, simple and poetic; she is a newcomer to thinking about life. She hopes to hear her parents’ love story at dinner and the prologue ends with: “All she knows is that someone fell, and that everything beautiful began after,” (7). Then the story begins and the reader is left not knowing which characters are the parents to this child. “A man on an upside-down bucket is selling small tubes of glue from a folding table. On the table are things glued together. He doesn’t know where the museum is but asks if anything you have is broken. ‘Everything,’ you say in Greek. He puts a tube of glue in your hands. You hold out a few coins, but he pushes them away,” (293). Slowly, the characters, like the city they find themselves in, begin to rebuild. None of them is able to forget and each of them is forever changed and they attempt to find the balance of remembering the beauty of what was and continuing to look for beauty in a world that is capable of crumbling. This always resonates with me and I’ve written about it quite a bit. Every conversation I have with friends in the midst of heartbreak, or even just in talking about what the definition of good living, is grounded in paying attention to the small, simple pieces of beauty in the world, past or present, which is why I loved the metaphor of what Henry became: “He is a curator. He reconstructs scenes from the past to illustrate their beauty and significance.” He didn’t try to completely forget the moments of beauty from his past, but rather recognize their worth. “He is enchanted by the beauty of small things: hot coffee, wind through an open window, the tapping of rain, a passing bicycle, the desolation of snow on a winter’s day,” (401). That is how I want to live. The end of the book comes back to the girl from the prologue and I found myself thinking about how in her story, everything beautiful began after people born before her experienced great pain. That switch in perspective is beautiful in and of itself. This entry was posted in beauty, books, hope, van booy on July 12, 2012 by krobb08.